Alexandra Franzen sends me a newsletter every week or so, and in it, she offers some good advice about how to write. Last week, she mentioned a book she read called, Die empty. In this book, the author, Todd Henry, urges, “Don’t die with your best work inside you.” Now, I didn’t read the book but just this mention has stayed with me all week and each time I think of it, I’m moved. If I have something inside of me that I know I need to do, share, or create, I could live my life to get it out there into the world, so that when I die, I die empty. Wow. This seems like a beautiful way of describing the yogic idea of dharma. We all are here, born in this particular time, in these particular bodies of ours and in our very special circumstance so that we can have some experiences. And through these experiences, we may come to know ourselves and the important job we are here to do. If we are lucky enough to be aware of it…to have a sense of what it is we are here to do, there will be a deep satisfaction in fulfilling that role and doing that work, whatever it is. When I read Ms. Franzen’s email I immediately thought of painting and how much I love it and how important my heart thinks it is even though my mind can’t make much sense of this. As the week progressed, I also thought of my work and role a mama to my girls and of this lovely, challenging and surprising relationship with my husband. And I can’t help but think of what feels like an indescribable and often irrational sense of purpose and calling to learn, practice and teach yoga. It’s possible that I could live my life so that when I leave this body my best work will be out there, in the world andI’m wonderfully inspired to do just that. Amanda teaches breath centered yoga in the tradition of Mr. TKV Desikachar. If you’d like to know how this very special practice can help you to uncover your purpose, Amanda would love to hear from you. 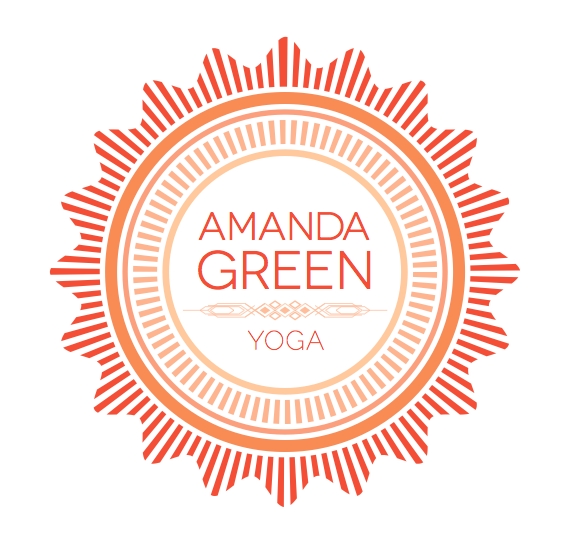 Send a note to amandagreenyoga at gmail dot com. Hi Mary! Thanks for reading. I’m always happy to connect to others practicing in this tradition and esp. students of Chase. We talk about our gifts. I think that I recognize a gift when I feel most aligned. That’s the word I keep coming to. When I am lined up in a way that what I’m doing feels perfectly right. No resistance, just flow. And I know that this is something I can do. Somebody might have the gift of working with little kids. Somebody might have the gift of making strangers smile. Innumerable examples. And I notice that there is always a creative element to a gift. When we line up our own creative flow, we’re lining up with the cosmic principle of creation – Brahma, for us yogis. And the gift flows as we give it away, and we become the vessel. This gift is only realized when it is freely given away. Patanjali says something like, This is a life of experience. You can gut it out and try to endure it. Or you can embrace it and try to learn from it. Our learning has to lead to a shift and expansion of our consciousness – movement away from consciousness bound by ego. This is our part in creation. Our job. Anytime we feel that what we are doing – or want to be doing – is creative, that’s a big clue that we are being called. Didn’t mean to go on, but you get me started, girl! Great post, thanks. I love this, Bharat and I love your comment. There’s something in this vessel idea that as we empty, we can be filled again…and again,,, and again. And that emptying and filling is part of what makes life fulfilling/makes one’s life so full. When I first started reading your post I thought Die Empty was referring to a Buddhist principle. I love this idea you shared about getting our best work out there. Also that as a purpose, or dharma as your write puts it into perspective…it’s not about getting the work out there for money or fame…it’s to share our love and gifts. I thought the idea of dying empty was rather bleak when I first read it because so much of what we celebrate in our culture is this idea of fullness and dying ful-filled. Almost as if a good life should fill us up. But it’s i’m coming to see the fullness and the emptiness as two sides of the same coin. Thanks for reading and for sharing your thoughts.